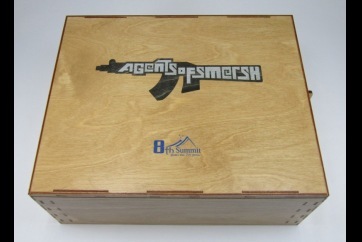 Officially licensed storage sets and boxes for Agents of SMERSH by 8th Summit. 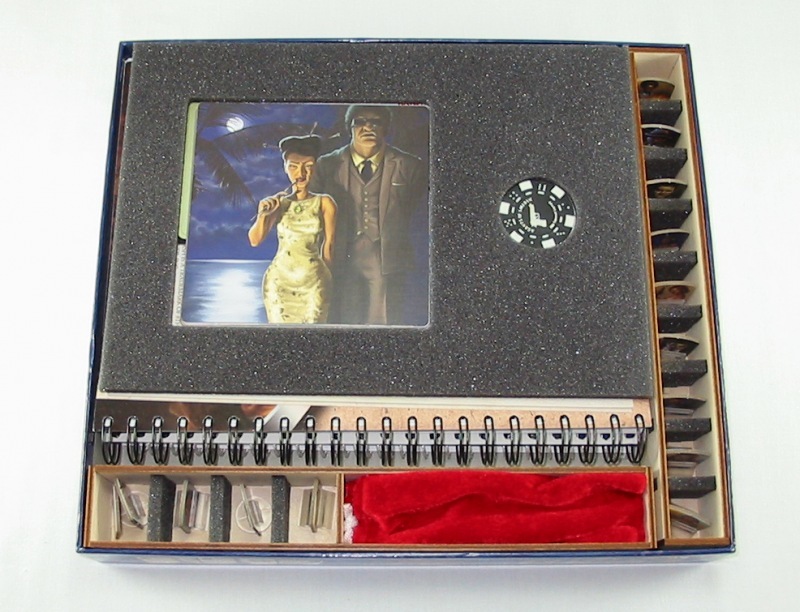 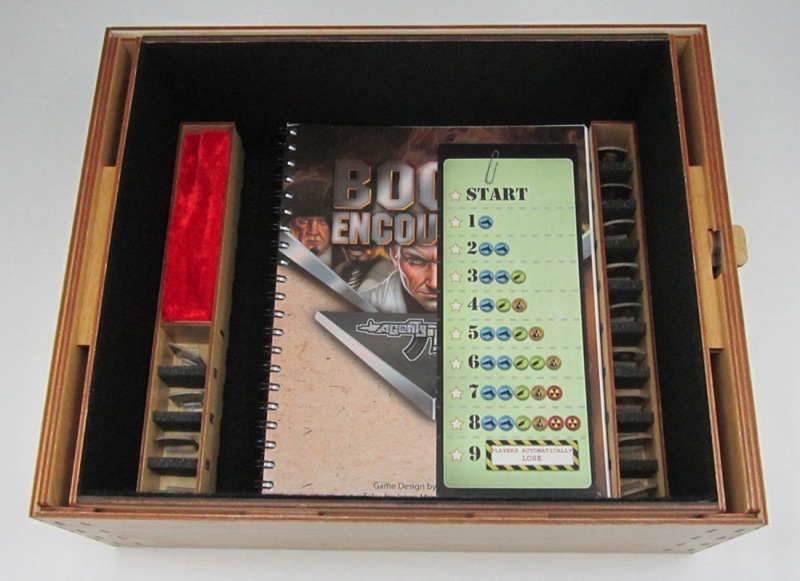 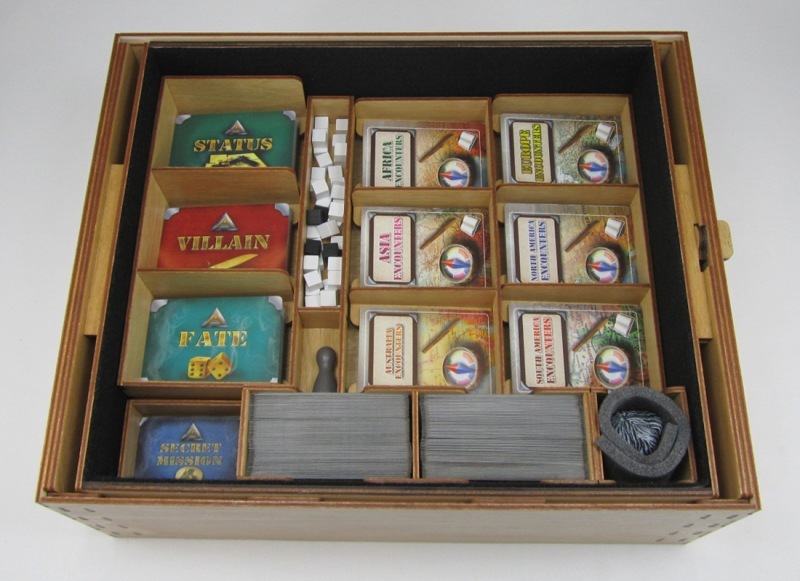 This organizer consists of 11 pieces that are held in the Agents of SMERSH base game box and 2 pieces that are held in the Swagman's Hope expansion box. 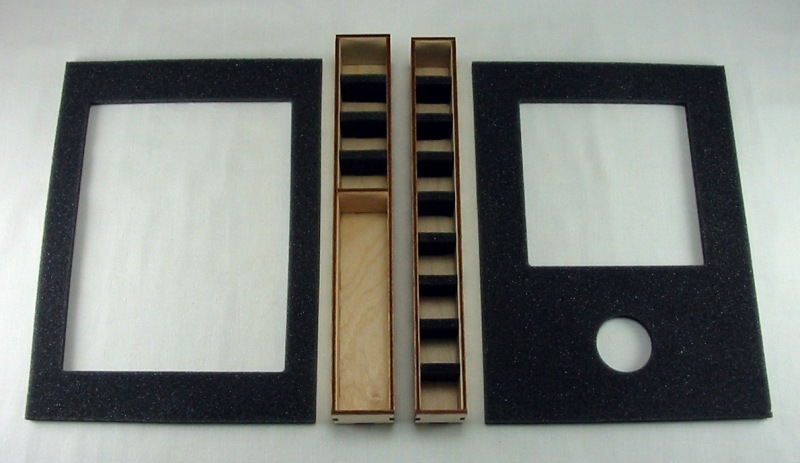 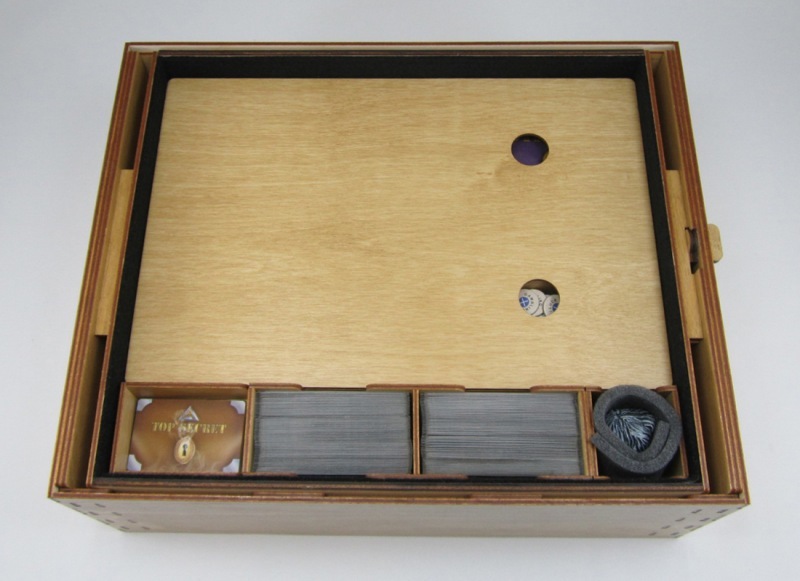 Foam inserts are included to make it easer to pick up the game pieces. 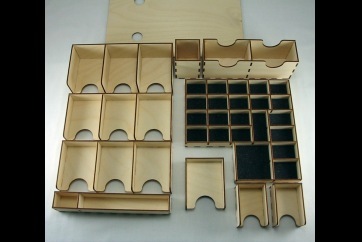 There are also some larger foam pieces that help keep things organized. 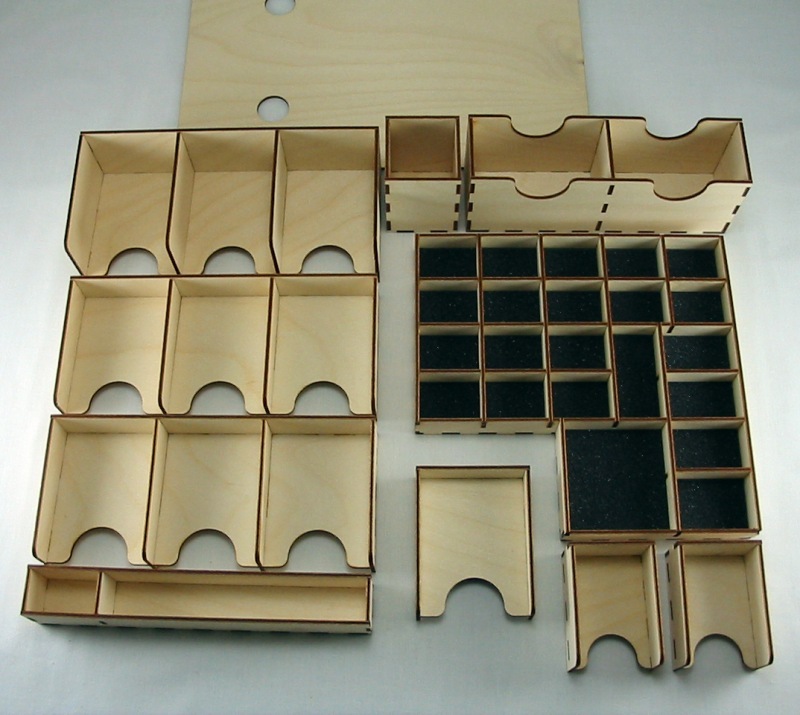 All of the parts in this kit are punched out and ready to assemble. 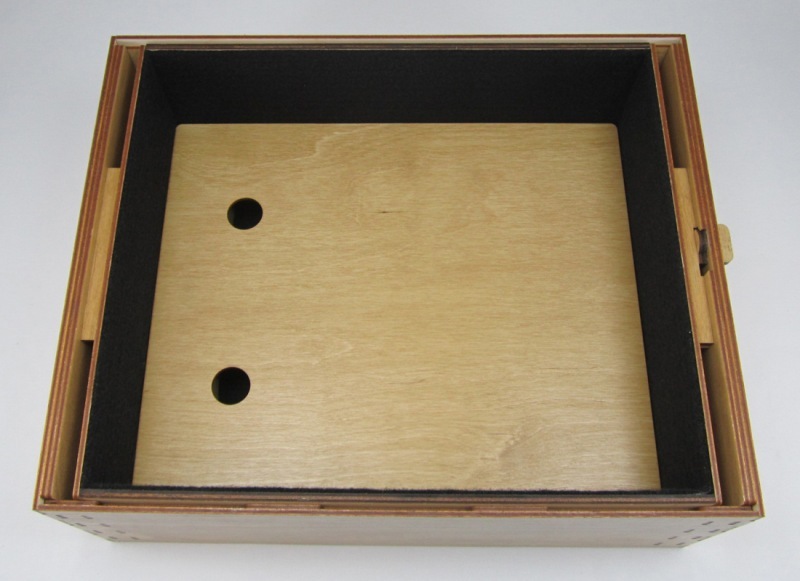 Assembly instuctions will be sent by e-mail. 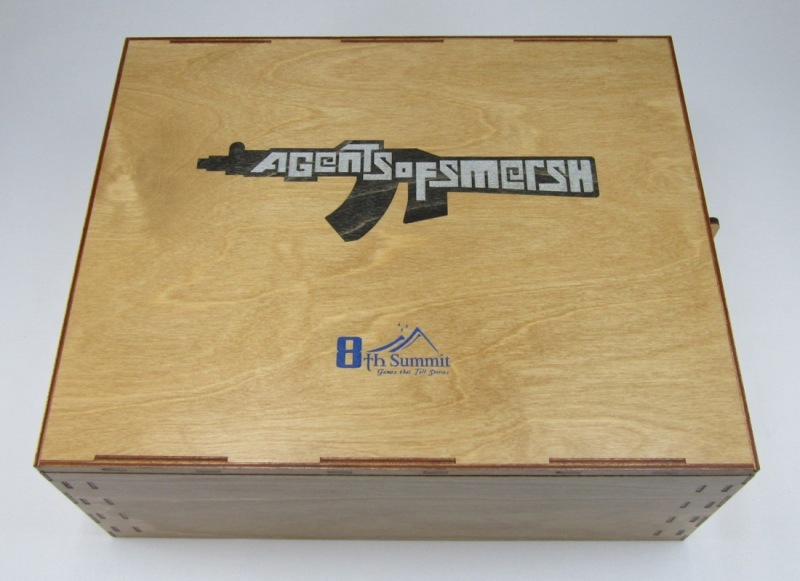 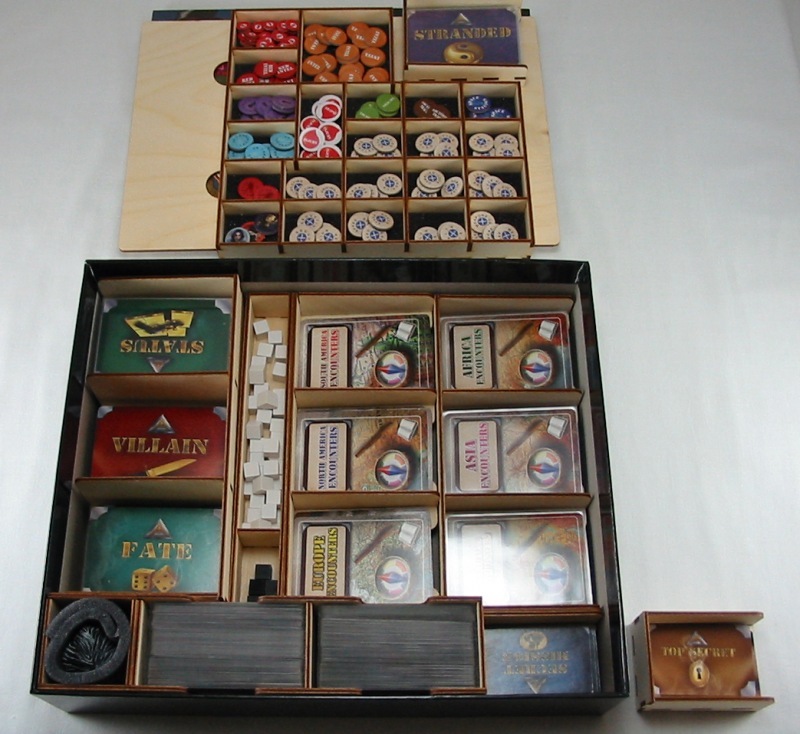 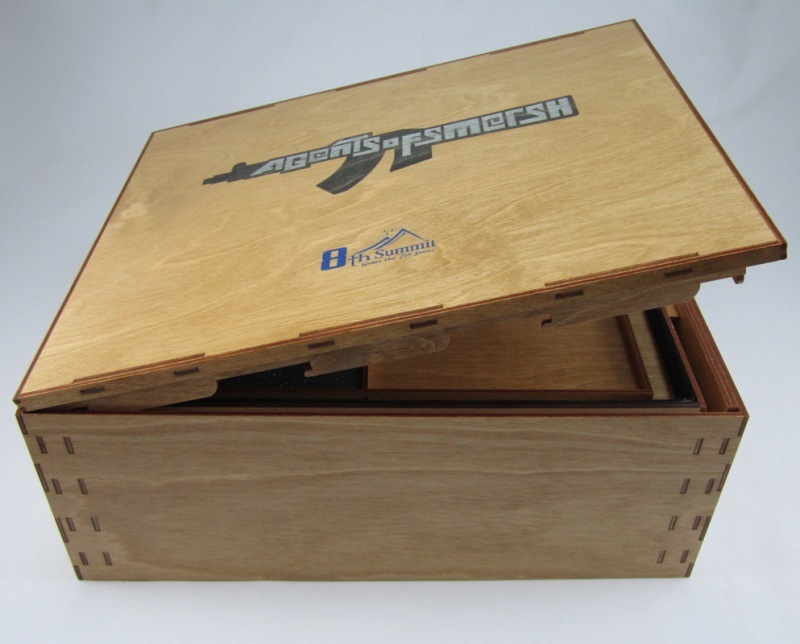 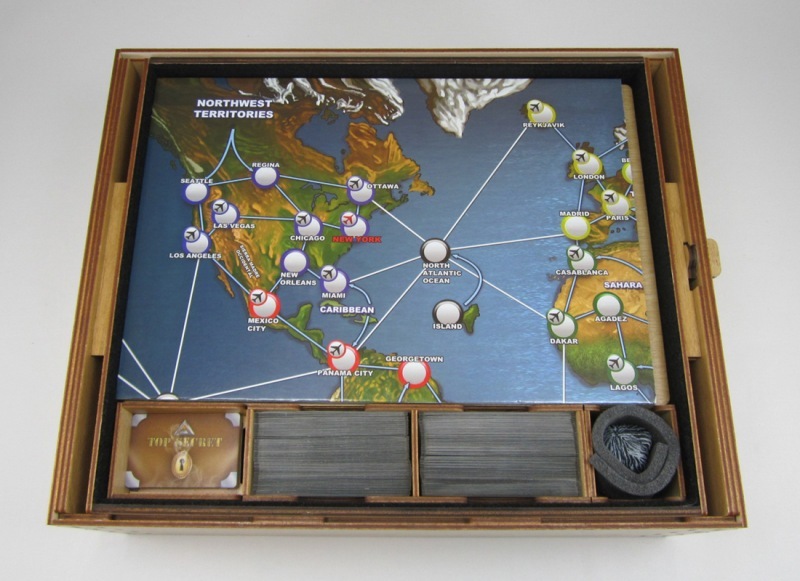 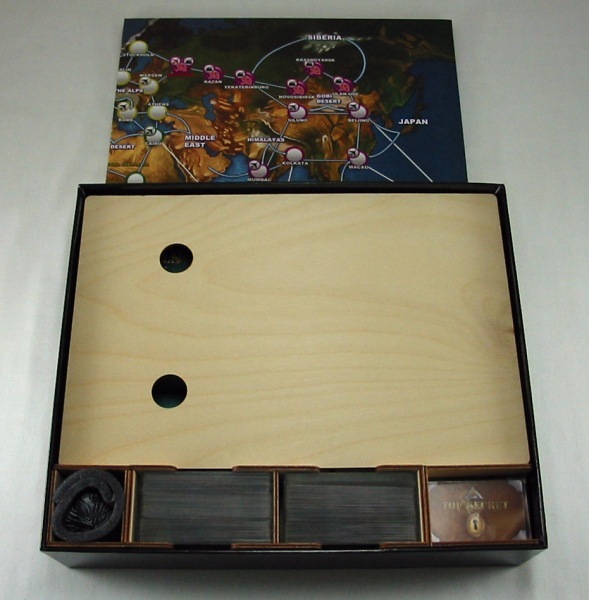 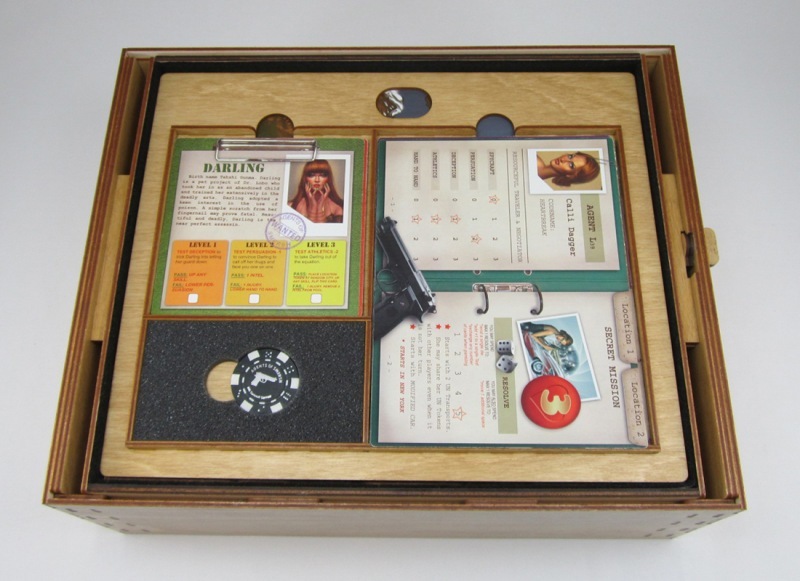 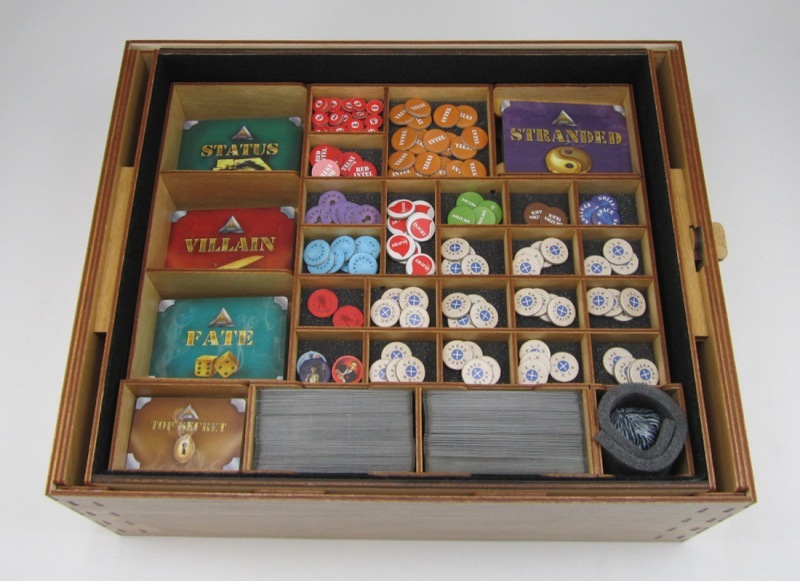 The deluxe storage set is made to fit in a Ready To Play storage box for Agents of SMERSH.